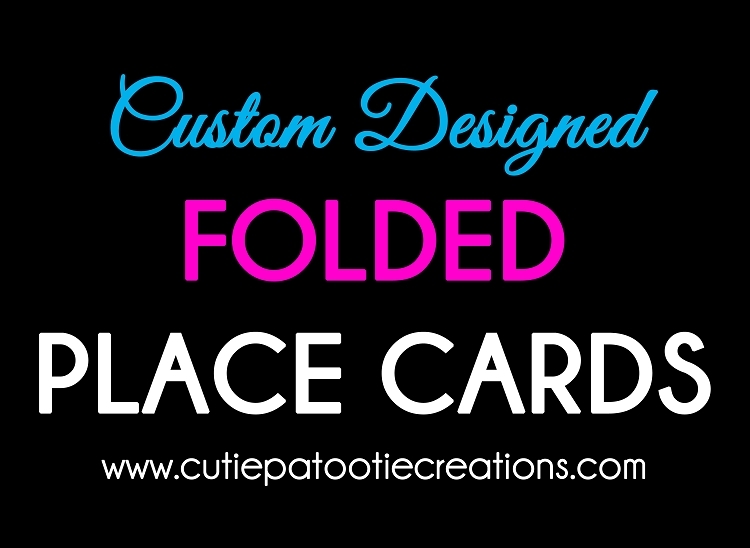 Custom Personalized Place Cards by Cutie Patootie Creations. Our place cards can be designed for Bar and Bat Mitzvahs, Weddings, Sweet 16's, Quinceañera and Corporate Events. We will customize these place cards with your guests name and table number. Place Cards are folded and measure 2.5" high x 3.5" wide. That is standard sizing. If you need a different size, just let us know. See our sample photos above to view our place cards in action. Once we receive your order, we will email you an excel spreadsheet for you to fill in your guests name and table number. If we designed your logo, just let us know above to use the previously designed logo.